Spring is officially here, and the start of a new season always serves as a great reminder to spend some time maintaining your property. Whether you own a house or rent an apartment, creating a regular routine of performing home maintenance tasks part can be a simple, effective way to prevent costly and stressful home repairs later on. 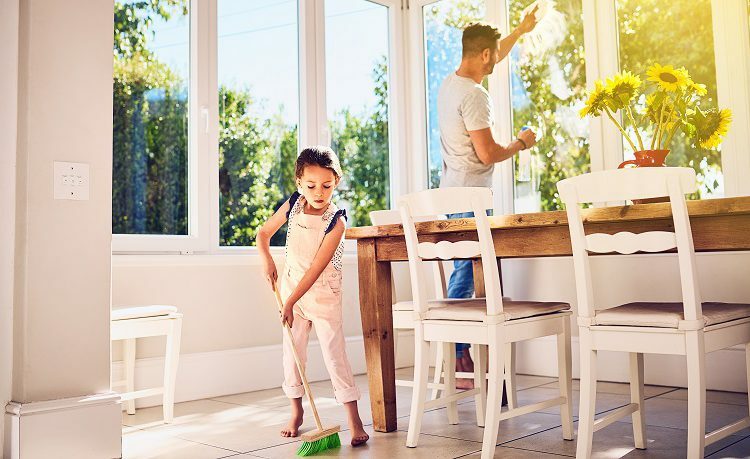 For your convenience, our San Jose construction experts have put together a list of recommended home maintenance projects to complete this spring. 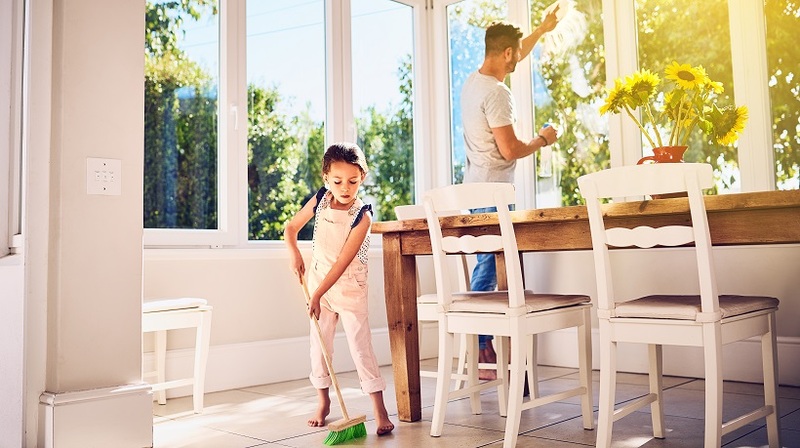 In addition to the more obvious seasonal tasks, like gardening or spring cleaning, there are several types of chores that should be done at least once per season. Whether you’re a homeowner or you own rental properties, this time of year offers a great opportunity to proactively tackle some routine home maintenance! Keeping your dryer vent free of buildup is absolutely critical for preventing home fires. How often you’ll need to clean the vent will depend on how frequently you’re using the dryer. In most cases, checking the dryer vent once each season should be a sufficient way to make sure there is not an excessive amount of lint buildup. According to the US Fire Administration, three out of five home fire-related deaths take place in properties without working smoke detectors. Making sure your own smoke detector is working properly is not only responsible; it could be life-saving. Whether your smoke detector is battery operated or hardwired into your home’s electrical system, make sure the alarm is properly powered and functioning correctly at least once per season, if not more frequently. Most smoke detector manufacturers provide printed instructions on how to test the alarm, but most of the time, you can press and hold the test button on the detector to make sure the alarm goes off. In addition to checking the alarm itself, keep track of how much time has passed since the batteries were last replaced. If you’re not sure, it’s best to take a proactive approach and replace the batteries sooner, rather than later, to ensure your detector is functioning in the case of a fire emergency. Spring is the perfect time to have a professional service your central AC system and make sure it’s working to its full potential. Routine maintenance not only lowers your chances of being without air conditioning on a hot summer day, but extends the lifespan of your air conditioning unit(s) and ensures the system is running as efficiently as possible, helping you to save money on energy costs. Make sure there are no loose boards, railings, columns, or other structural problems that may not be easily noticed at first glance. Even if you spend a lot of time outside year-round, early signs of structural problems could be easily missed if you don’t make a point of actively inspecting the property. The springtime is the perfect opportunity to identify repairs that you may require, so these can be made before the start of a busy summer. Landscaping is one of the first things everyone notices about a home. A beautifully maintained yard provides a great place to relax, but creating this tranquil space requires regular maintenance and care. Removing weeds and dead plants at least once a season is important for keeping a healthy, attractive-looking yard and provides more available space for healthy plants to thrive. Whether you hire a landscaper or prefer the DIY route, make sure every inch of your yard is healthy and weed-free this spring. You can never be too prepared when it comes to roof repairs. Even if your home is leak-free, the springtime weather brings the perfect opportunity to have a professional inspect your roof in case of potential unseen problems. Issues like damaged shingles, ponding water, or even overhanging tree limbs can go undetected without proper care, and it’s important to identify these problems early before more costly damage can occur. Taking some time to inspect your home’s siding is another smart task to add to your spring to-do list. Loose or missing siding are of course major causes for concern, though there are other common reasons why you may need siding repairs. If your siding has peeling paint or shows signs of warping, cracking, or buckling, you’ll want to identify these problems as soon as possible in order to have them fixed in a timely manner. Visible mold or excess moisture are also warning signs that your siding needs to be looked at and possibly redone by a professional. Homeowners and real estate investors alike can agree that property maintenance is no simple task. From designing and building the right living space to running a household as smoothly as possible, owning a property can feel like a full-time job in its own way. Here at Intempus, we focus on offering not only the best household renovation and repair services, but we pride ourselves on our superior customer service as well. If you need assistance maintaining your property, contact the best San Jose construction experts today at Intempus!